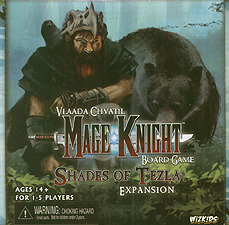 Tezla was the greatest Mage to have ever lived. He succeeded in doing something no one else had, and mastered both the elemental and necromantic magics. Upon Tezla's death, a number of factions claimed they had his essence bound in an Avatar. Now two remain; the Elementalists and Dark Crusaders. Braevalar was a storm druid, a part of the Elementalist faction. Disillusioned by the Elementalists' reluctance to take the fight to their enemies, Braevalar looked for another way. His search ended one night when a voice spoke to him from the darkness of the forest. It told him there was indeed another way for those with the will to do whatever it took to defeat their enemies. Although the training was hard, Braevalar never lacked determination His cunning and knowledge of how to use the terrain around him were great assets, as were his power over the natural world.